Our lifestyles have become very hectic that’s why we are not able to pay attention to our skin and hair. Using many products and environmental pollution creates blockage and dandruff. 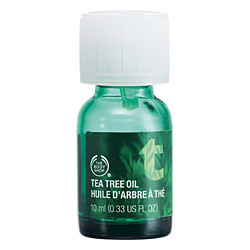 Mix few drops of tea tree oil in your regular hair oil (full bottle). Shake well and your anti dandruff tea tree oil is ready. It is also a great solution to fungal infection. P.S. Don’t apply tea tree oil directly on your skin, it will burn your skin. It is only for external use. Few drops in 1 month oil is enough.